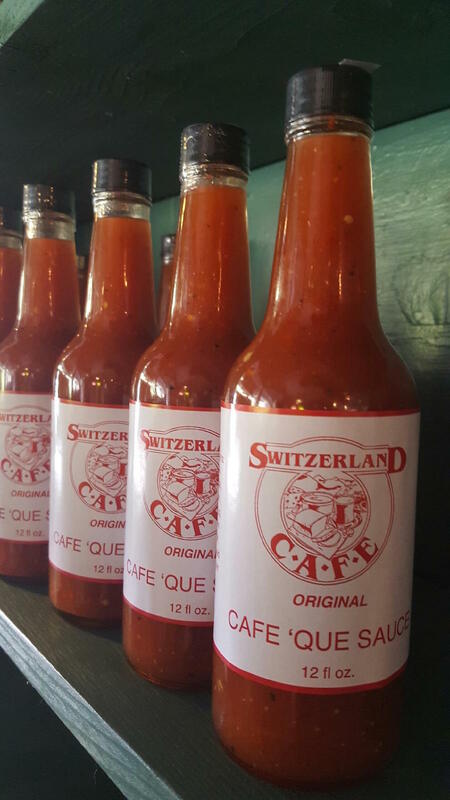 Made right here at the Switzerland Cafe in beautiful Western North Carolina! 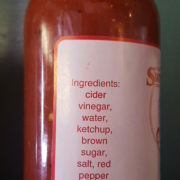 This is a delicious vinegar based hybrid of eastern and western NC BBQ sauce styles, with a just touch of ketchup. 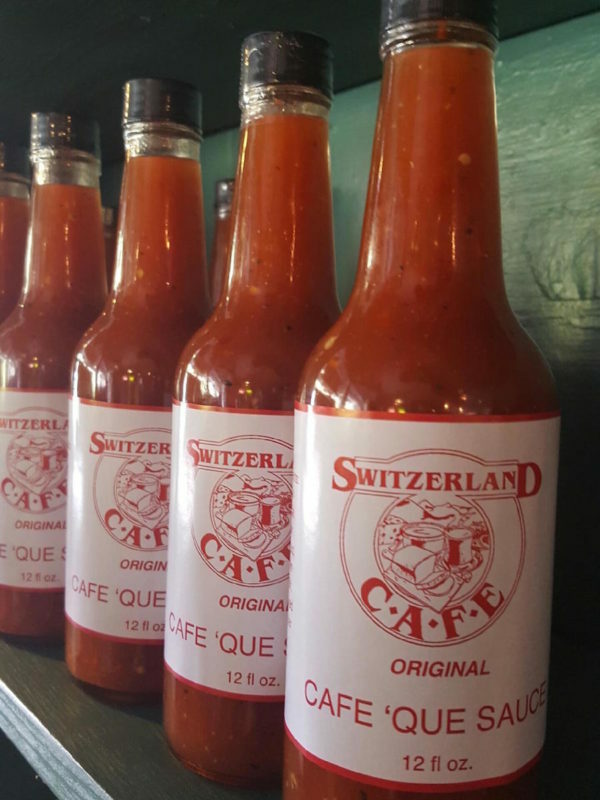 Mildly spicy, this barbecue sauce goes great on pulled pork, chicken, beef, and just about anything else you’ll put in your mouth. All natural ingredients. Nothing you can’t pronounce (unless you say “Cat-sup”).